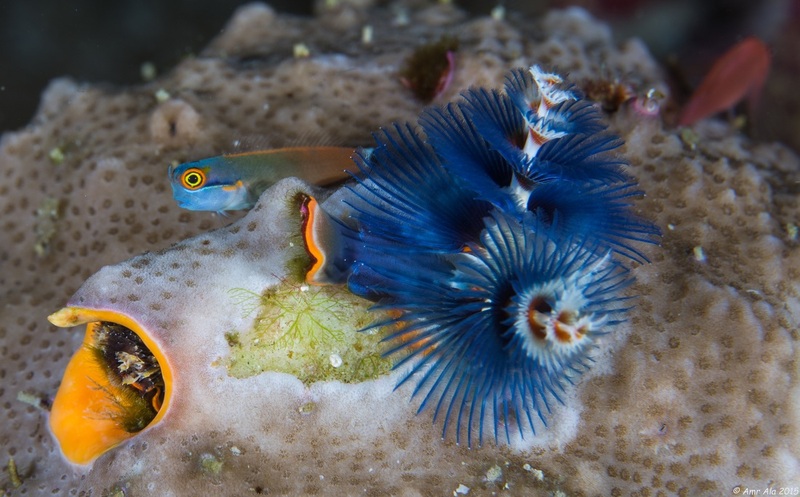 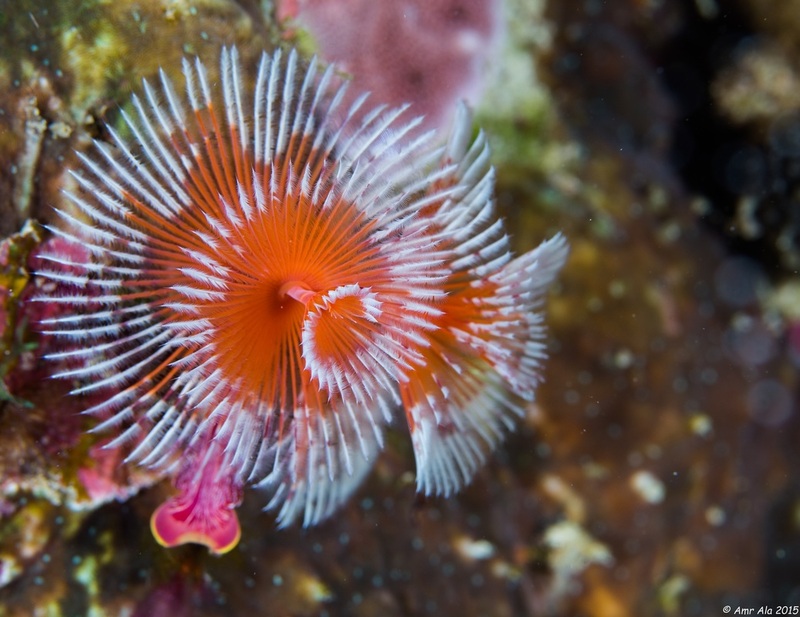 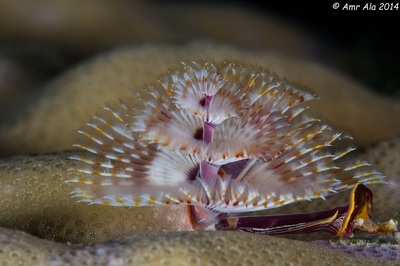 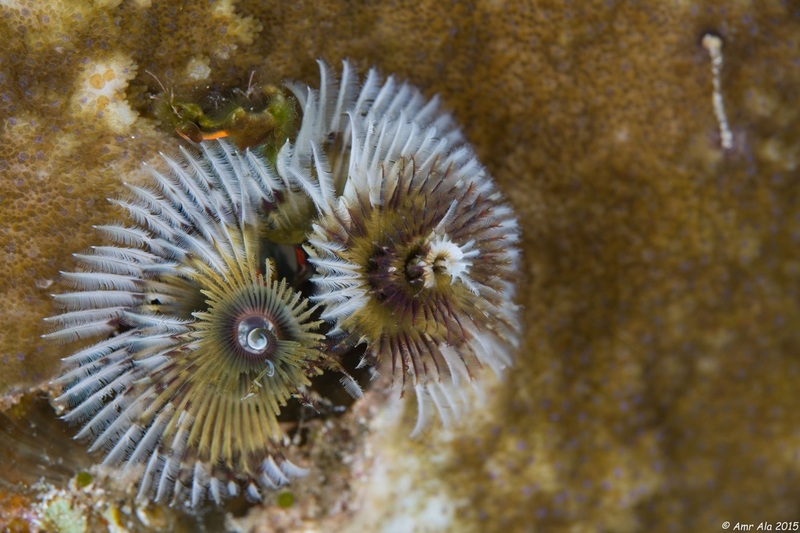 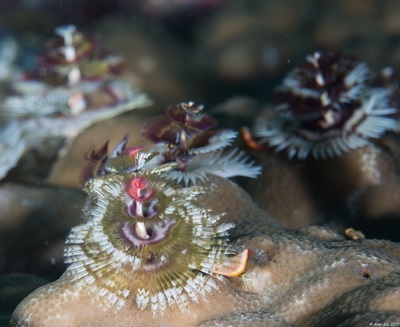 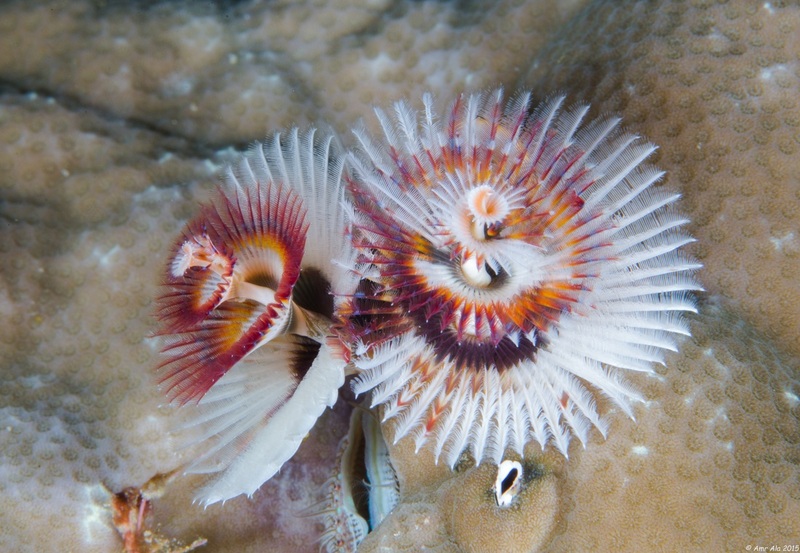 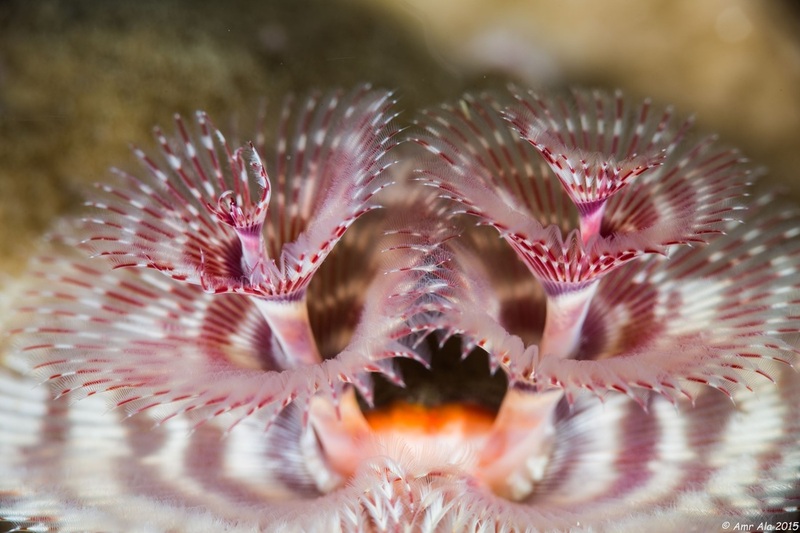 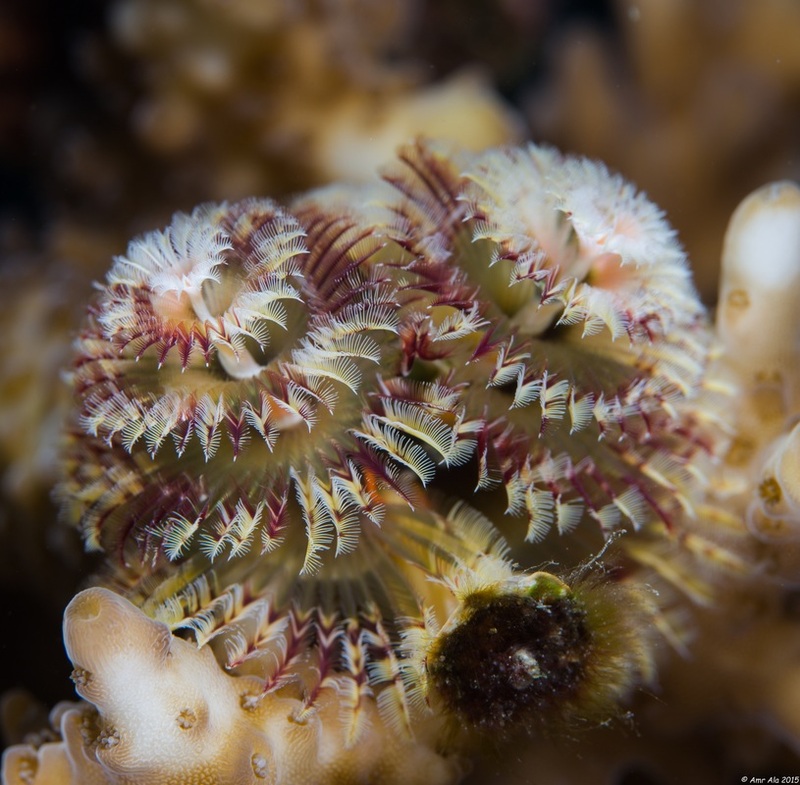 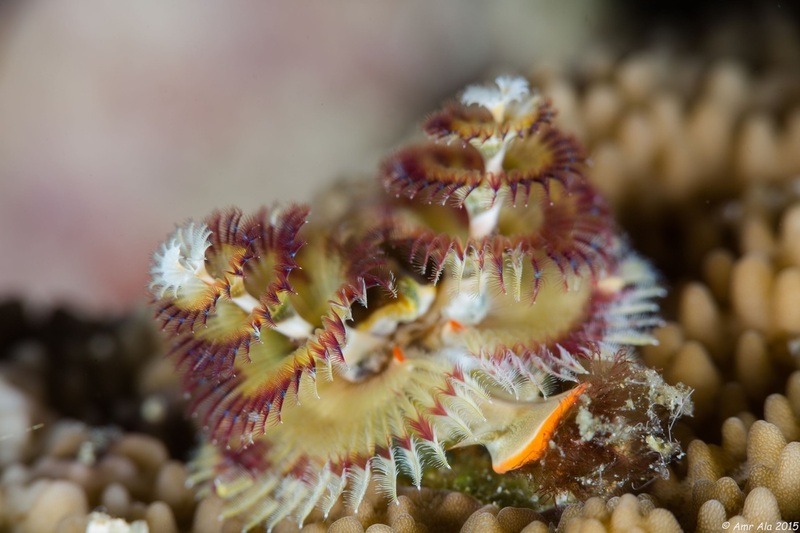 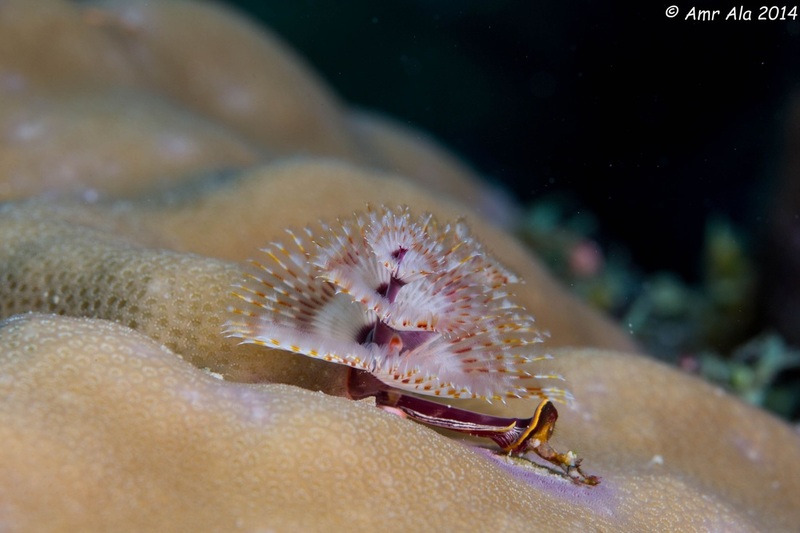 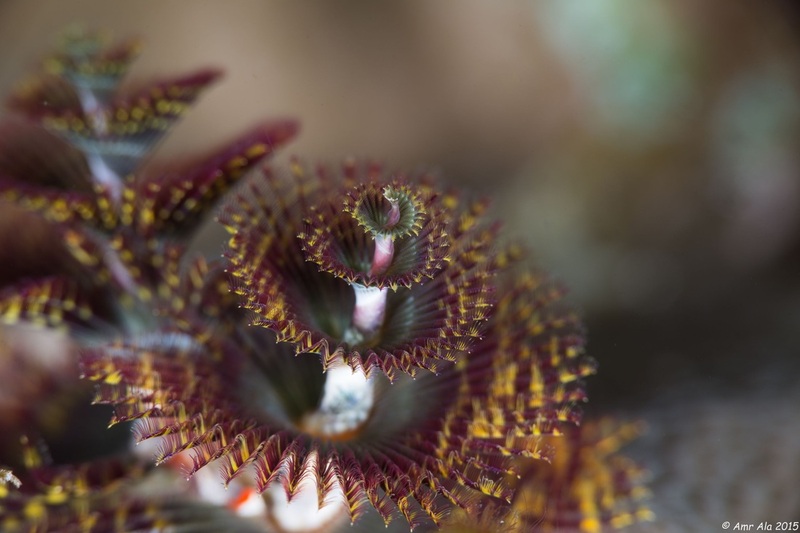 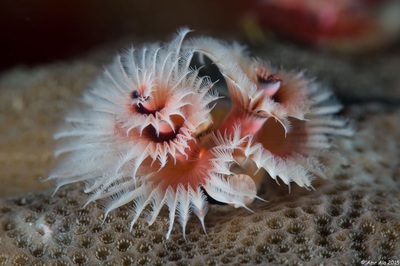 CHRISTMAS TREE WORM	(Spirobranchus sp) Location:Jeddah,Saudi Arabia This species has twin spiral tentacles with extremely variable colors. They are round and look like Christmas trees. 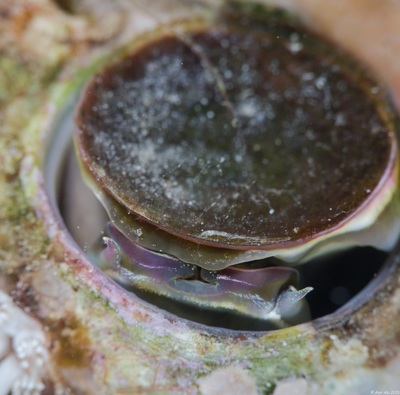 They have a yellowish operculum. 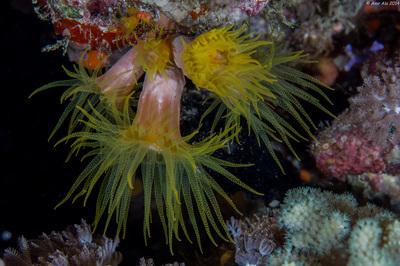 They live in hard corals such as coral heads and penetrate with a calcareous tube. 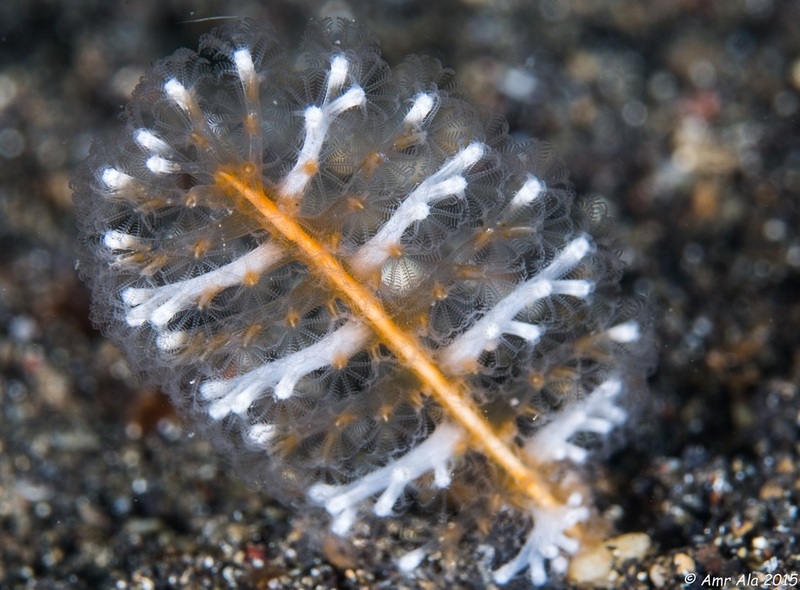 Colonial frost worm (Filogranella elatensis) Location:Jeddah,Saudi Arabia Crowns ro 1 cm. 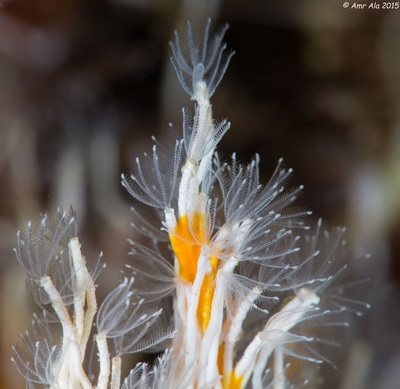 Colonial masses of fine calcareous tubes. Biology: in rubble or sand along reef edges. 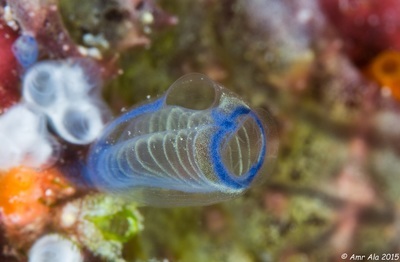 Arabian ascidian (Rhopalaea sp.) Location:Jeddah,Saudi Arabia To 5 cm. Solitary; transparent with white sperm duct. 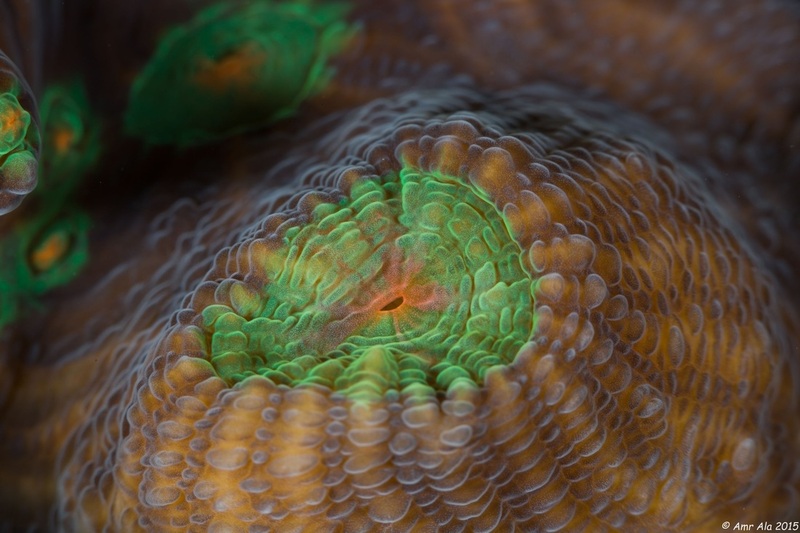 Biology: hard bottoms of reef flats and slopes. 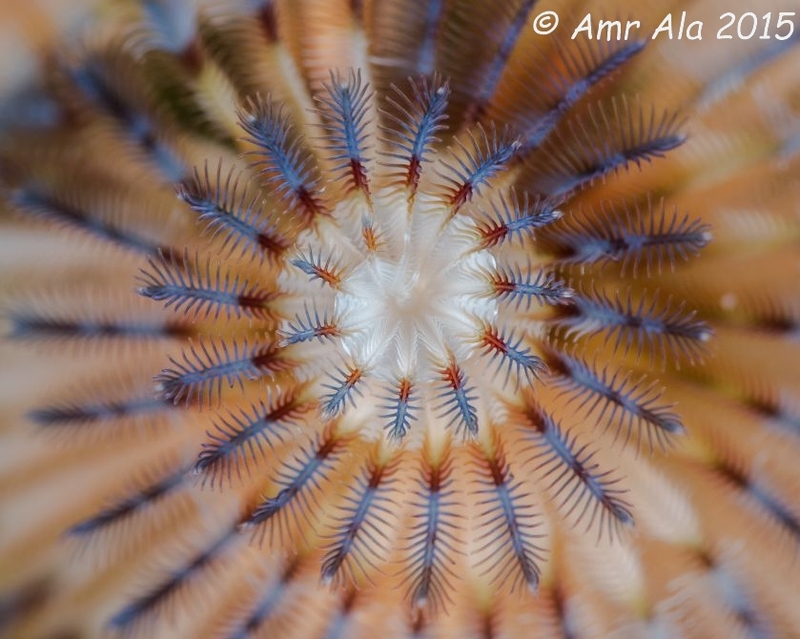 Large worm shell (Dendropoma maxima) Location:Jeddah,Saudi Arabia To 20 cm, operculum to 15 mm across. Embedded in corals. 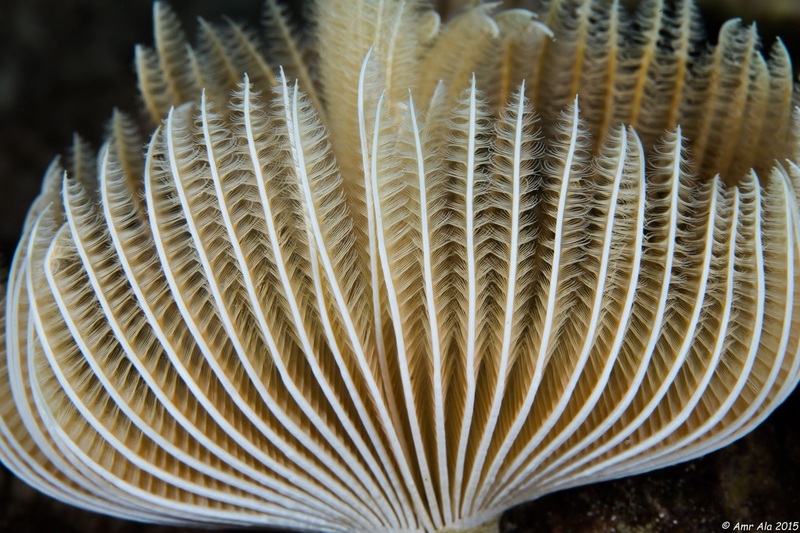 Biology: in large coral heads of reef flats and upper slopes. 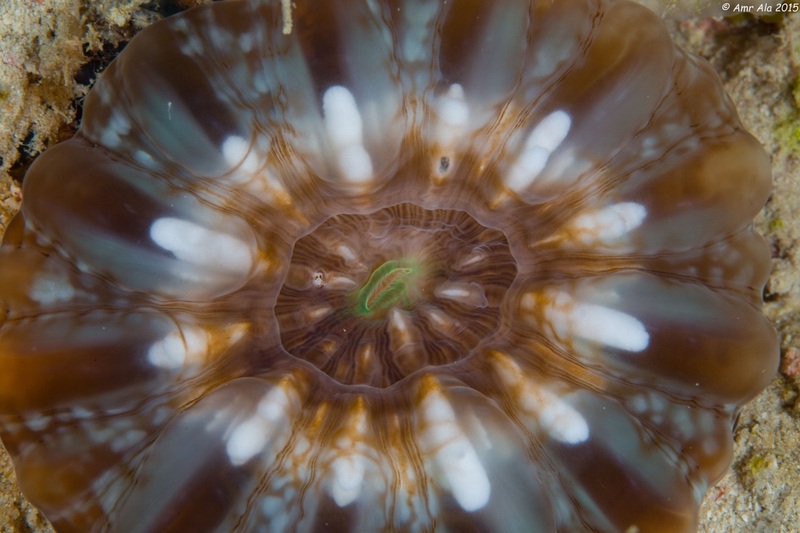 Lives in a calcareous tube which it secretes. 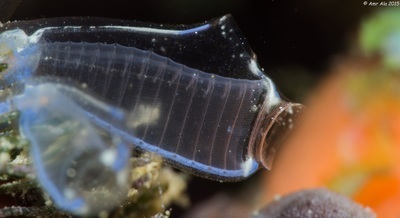 Produces a fine mucus veil which filters plankron and is hauled in about every 15 minutes by day and night. Jueveniles grow within tube! 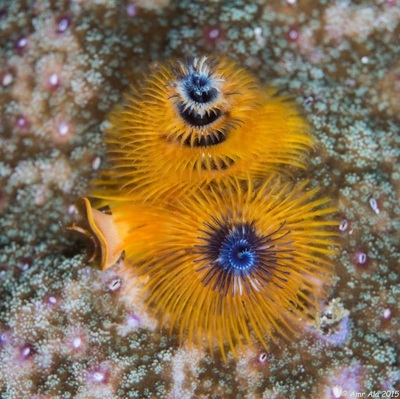 CHRISTMAS TREE WORM	(Spirobranchus sp) Location:Raja Ampat,Indonesia This species has twin spiral tentacles with extremely variable colors. 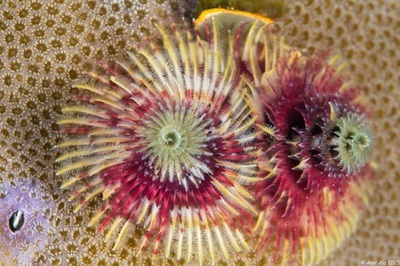 They are round and look like Christmas trees. They have a yellowish operculum. 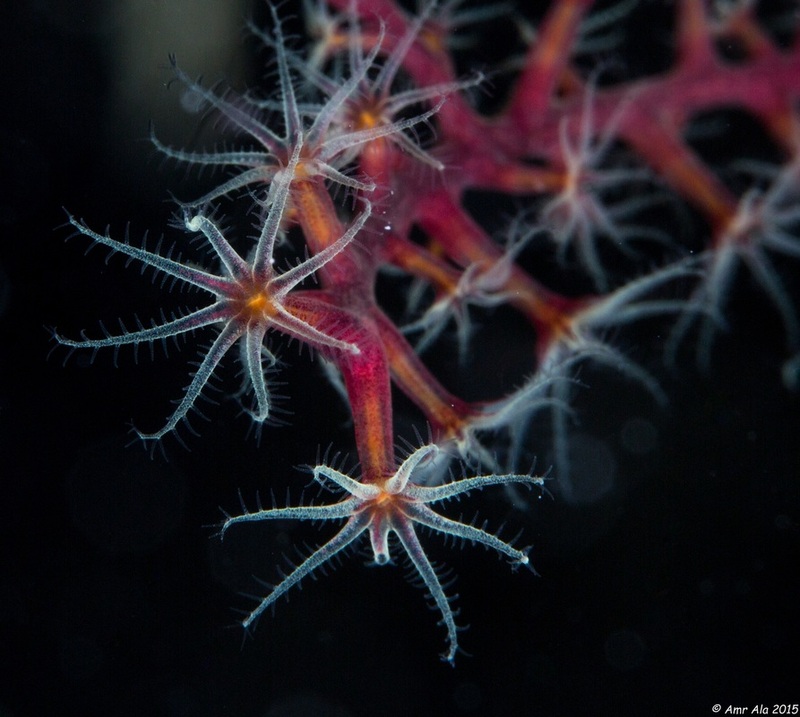 They live in hard corals such as coral heads and penetrate with a calcareous tube. Red cup coral (Tubastrea coccinea) Location:Jeddah,Saudi Arabia To 30 cm. Orange with yellow tentacles. 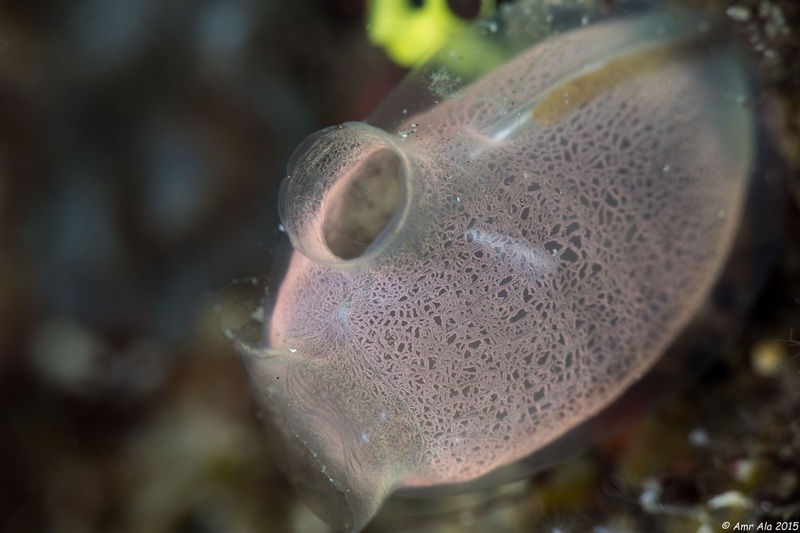 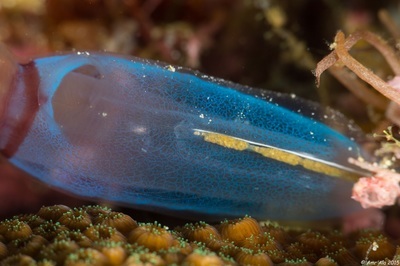 Biology: in caves and under overhangs, to 25 m. Lacks zooxanrhellae, feeds on zooplankton.